Heartland Institute’s Local Government Relations Manager passed away unexpectedly on March 13. Chicago, March 17: With shock and deep sorrow, The Heartland Institute announced today the sudden death of Ralph Conner, who served as the organization’s local government relations manager since 2005 and who informed and helped shape the organization’s efforts since its founding in 1984. Conner was found dead at his home in Maywood, Illinois, on Saturday, March 13. Conner was born and raised in Maywood, a community in the western inner-ring suburbs of Chicago. He devoted nearly 20 years of his life to public service for the municipality, serving as village president (2001-2005), director of planning and development/building commissioner (1990-1995), and enterprise zone administrator (1989-1995). Conner was a popular spokesperson for taxpayers, government reform, school choice, and many other issues. He often appeared as a pundit on Comcast, WTTW, and Bruce DuMont’s nationally syndicated “Beyond the Beltway” radio program. In 2008 he launched the Chicago office of the Congress of Racial Equality (CORE). In 2009 he appeared in “No Guns for Negroes,” a documentary film on the Second Amendment. He was working on a film on black World War II veterans when he died. Arrangements are being made for a funeral on Saturday, March 20. Updated information about that service will be available at The Heartland Institute’s Web site at www.heartland.org. CORE-Chicago Chairman: Ballot of the Bullet! Nuclear energy is becoming a hotly debated issue in America with President Obama’s recent announcement that he will advocate expansion of construction of new clean and safe nuclear power plants. In a move calculated to garner Republican support for cap and trade energy legislation, at risk of alienation the leftist ‘green’ elements within his coalition, Obama is tripling public financing for new nuclear power plants through Department of Energy federal loan guarantees in the amount of $54.5 billion. The Obama administration has also appointed members of a Blue Ribbon Commission on America’s Nuclear Future to provide recommendations for developing a safe, long-term solution to managing the nation’s used nuclear fuel and nuclear waste. Of course Congress designated Yucca Mountain as the nation’s only option for a geologic repository of high-level nuclear waste over 23 years ago. Without Yucca Mountain, which appears mired in politics nuclear waste remains stored at various reactor sites above ground. Obama has opposed the Yucca Mountain project for storing spent nuclear fuel (SNF). America should examine how other countries are expanding their nuclear capacities while concurrently addressing concerns about nuclear waste reduction and geologic repositories space reduction. In North America 103 reactors provide 20 per cent of our electricity. The debate is not merely an exercise in confronting the irrational fears of Nimby-ism or the stridency of ‘green’ anti-nuke reactionaries. The social and economic aspects of the nuclear debate force policymakers to keep the general public duly informed based upon the best science available to minimize nuclear fear-mongering whether fear of terrorists or nuclear accidents. How much nuclear waste do American nuclear reactors produce? According to the U.S. Department of Energy, civilian nuclear reactors have produced more than 40,000 metric tons of spent fuel, about enough to cover one football field four yards deep. By the end of 2010, DOE expects this figure to exceed 60,000 metric tons. U.S. nuclear waste policy since the 1970s has been that nuclear fuel is used once in a reactor and then permanently disposed of in long-term storage, referred to as the “once through” fuel cycle. Associate laboratory director for Engineering Research at Argonne National Labs, John Sackett acknowledges that “recent studies indicate that the main constraint on expanding nuclear power over the next 50 years will be a shortage of repositories to hold nuclear waste.” In response to this challenge the U.S. Department of Energy’s Advanced Fuel Cycle Initiative (AFCI) will develop fuel recycling technologies to reduce the amount and toxicity of reactor waste. Presidential discretion has always played a dominant role in setting nuclear policy in America. In 1977 President Jimmy Carter lead America to officially ban reprocessing of spent fuel because he feared that terrorists would have access to recycled plutonium to make bombs. But today’s U.S. Department of Energy engineers claim technology is available to make reprocessing SNF more resistant to terrorist misuse, thereby mitigating those prior concerns. In 2010 it is incumbent on policy-setters to review what type of clean nuclear power plants should be constructed and what type of reprocessing solutions should be implemented. On June 17, 2009, the House Science and Technology committee held a hearing on “Advancing Technology for Nuclear Fuel Recycling: What Should Our Research, Development and Demonstration Strategy Be?” Chairman Bart Gordon (D-TN) opened the hearing by stating that although America currently enjoys a reliable ‘baseload’ for electricity we need to consider reprocessing so “U.S. nuclear power can expand to spent nuclear fuel as uranium resources become scarcer .” The hearing explored the status of nuclear waste recycling and also discussed the safety, environmental, security and economic issues related to nuclear waste reprocessing strategy. Witnesses at the hearing confirmed that only a small portion of the energy potential in nuclear fuel is used during the “once through” fuel cycle. When recycled, the spent fuel is processed to separate waste materials so that the fissionable uranium and plutonium can be recycled into new fuel. This is referred to as the “closed” fuel cycle. Not only does this reuse allow producers to extract more energy from the given supply of natural uranium, it also saves space in an underground repository. At the hearing Dr. Mark Peters representing Argonne National Laboratory testified to the need for effective nuclear waste management in the U.S. as demand for nuclear energy increases. He testified that while nuclear energy is an abundant, and carbon-free source of electricity for the United States it will be necessary to close the fuel cycle to expand nuclear power capacity. Dr. Alan Hanson of Areva, Inc., the manager of France’s reprocessing operations, testified that recycling fuel would decrease high-level waste by 75 percent it would increase low-level waste, but this would only be a 2.5 percent increase. And low-level waste does not have the same storage constraints. President Obama might want to review the nuclear positions of his predecessors in more depth to avoid mere political posturing to sell legislation. The same Areva re-engineered the French fuel assembly plant at Marcoule, originally designed to support a breeder reactor, to instead produce plutonium-enriched fuel elements for conventional reactors. In 1996, Areva blended plutonium and SNF, in a ratio of 8 percent to 92 percent, creating so-called mixed-oxide, or MOX, fuel, which can be substituted for enriched uranium fuel in a conventional nuclear reactor. In 2010, MOX fuel provides 10 percent of France’s nuclear power generation and is also used in Belgium, Germany, Japan, and Switzerland. President Bill Clinton’s Energy Department in 1997 authorized the fabrication of surplus weapons-grade plutonium into MOX fuel for use in U.S. power plants. Clinton also awarded a contract to an Areva-led consortium to build a MOX fabrication plant at the DOE’s Savannah River, S.C., site. President Bush’s first energy secretary, Spencer Abraham, gave Areva permission to create fuel assemblies currently producing power at Duke Power’s Catawba, S.C., plant since 2008. After President Bush’s endorsement of nuclear reprocessing in 2008, DOE began to lobby Congress to follow-through with full integration of plutonium into the U.S. nuclear industry by creation of a SNF reprocessing demonstration plant. In May 2009 the DOE’s Spent Nuclear Fuel Recycling Program Plan was sent to Congress calling for a demonstration of a breeder reactor fueled by Urex+, a recycled SNF. Just like France’s nuclear fuel cycle, the DOE plan accepts the reality that new breeder reactors must be built to process high-level transuranic waste left as a residual from MOX production. Nobel laureate Burton Richter, who leads the DOE’s science panel on nuclear waste separations believes breeder reactors are DOE’s ultimate solution “Everybody is in agreement that the right system ultimately results in multiple recycles in fast [breeder] reactors, so that’s where things are going,” according to Richter . which reprocesses French SNF in one half of the facility’s capacity, and uses the other half to recycle other countries’ spent nuclear fuel. In conclusion, Phillip Finck, a nuclear engineer at Argonne National Laboratory has stated “If we do reprocessing and recycle, we can increase the capacity of a Yucca Mountain 100-fold.” With American nuclear policy held hostage by geologic repository politics, this strategy will stave off need for additional abortive Yucca Mountain projects. But if President Obama wants to support expansion of nuclear capacity for real he will consider the case for breeder reactors for extraction of new fuels by effective management of reprocessing of spent fuels. Without breeder reactors, reprocessing will fail. Unless breeder reactors are commercialized that can truly burn up all the residual fissile material found in spent fuels, reprocessing will simply exchanging one high-level nuclear waste for another. The following articles review the challenges and benefits of pursuing a comprehensive Spent Nuclear Fuel reprocessing strategy to enhance nuclear capacity by capturing ‘wasted’ nuclear waste for new fuel, and developing the next generation of breeder reactors capable of recycling the residue left from the reprocessing operations. Summary of Testimony of Witnesses at June 17, 2009 Hearing U.S. House Science and Technology Committee. To maximize the benefits of nuclear energy in an expanding nuclear energy future, it will ultimately be necessary to close the fuel cycle. Actual Prepared Testimony Dr. Alan S. Hanson Executive Vice President,Technology and Used Fuel Management, AREVA NC Inc.
Dr. Hanson confirms that the volume of material destined for the high-level waste repository is reduced by at least 75 percent through recycling. electricity, implementation of closed cycle instead of ‘once through’ system. A CFR Perspective Which states that since other countries may venture into reprocessing it is imperative for the United States to reevaluate its policies and redouble its efforts to prevent the further spread of reprocessing plants to non-nuclear-weapon states. The Department of Energy now proposes a new generation of “proliferation-resistant” reactor and reprocessing technology. Department of Energy administrator examines fallacy of “Not In My Back Yard” syndrome. DOE administrator examines rationale behind Republican presidential candidate Sen. John McCain (R-AZ) request for the United States to build 45 more nuclear power plants as a means of reducing foreign energy dependence. Dr. Lehr contends that unlike some applications of nuclear technology, the process of generating electricity in a nuclear power plant is not rocket science. Tom DeWeese – Reassertion of the Power of the Sword. Friday November 13, 2009. Ralph Conner – C.O.R.E., Heartland Institute. Friday November 13, 2009. Niger Innis, international spokesman with the Congress of Racial Equality, speaks on the impacts of energy challenges and the poor during the annual meeting of the Montana Petroleum Association at the Crowne Plaza Hotel Wednesday afternoon, September 2, 2009. A national civil rights spokesman told Montana energy producers Wednesday that the country’s energy policy will harm the poor and threaten their industry and the economy. Innis was the luncheon speaker at the Montana Petroleum Association’s annual meeting held at the Crowne Plaza in Billings. More than 150 industry representatives along with local, state and federal representatives and officials attended the luncheon. The three-day meeting and golf tournament ended Wednesday. Innis said the country’s energy development is critical to its economic growth and to economic equality for all people, especially the poor. People with incomes below the poverty level spend 50 cents of every dollar on energy compared with 5 cents of every dollar spent by people with average incomes, he said. He blasted environmental groups – repeatedly calling them “the green mafia” – and the “elite media” saying they were trying to stop energy development. Laws and policies that restrict access to energy drive up prices for everything from food to transportation and disproportionately harm the poor and disadvantaged, he said. In particular, Innis called the cap and trade bill passed by the U.S. House an assault on the country’s energy industry. The Waxman-Markey legislation, which Innis called the “cap and tax” bill, seeks to limit greenhouse gases by creating a national cap on emissions and then granting credits or allowances to industries that emit these gases. Industries must either reduce their emissions or buy more allowances. The legislation has stalled in the Senate while industries are trying to kill it. If the cap and trade plan becomes law, Innis said jobs will be lost, households will pay more for energy and the economy will shrink. The global benefit of the cap-and-trade bill also is dubious, he added, because major carbon emitters like China and India are not part a comprehensive agreement. There will be an imbalance if the United States does everything and other countries do nothing about climate change, he said. The Congress of Racial Equality is proud of its efforts to nearly kill the cap-and-trade bill, Innis said. But even if it is defeated, the federal Environmental Protection Agency will enact it “by fiat” through the Clean Air Act, he said. The only way to stop that is for Americans to “resoundingly say no,” he said. CORE was founded in 1942 as a civil rights organization. Based in New York City, the nonprofit group promotes equality for all people. 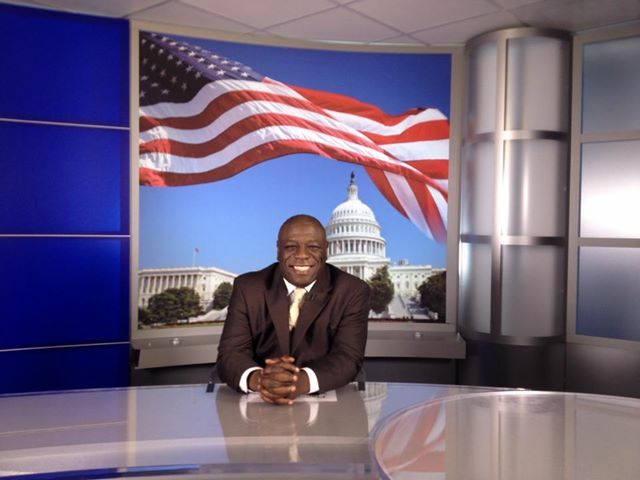 Innis has appeared on national news programs including CNN and Fox News. His father, Roy Innis, is CORE’s national chairman. health care and why it will not work in America. all ethnic and age groups have a lot at stake. and a black perspective. Enjoy! Since the Federation for American Immigration Reform (FAIR) has estimated the health care burden of treating illegal immigrants is $11 billion a year, and President Obama is confident Americans will resort to “sensible and reasoned arguments”, citizens may suggest that the president consider taking immigration reform off the backburner. Nationalizing health care just because the system is broken is no rationale for creation of additional unsustainable health care entitlements for citizens or immigrants. Costs always explode whenever the government gets involved, and governments always lie about it. In 1970 the government forecast that the hospital insurance (HI) portion of Medicare would be “only” $2.9 billion annually. Since the actual expenditures were $5.3 billion, this was a 79 percent underestimate of cost. In 1980 the government forecast $5.5 billion in HI expenditures; actual expenditures were more than four times that amount — $25.6 billion. This bureaucratic cost explosion led the government to enact 23 new taxes in the first 30 years of Medicare. (See Ron Hamoway, “The Genesis and Development of Medicare,” in Roger Feldman, ed., American Health Care, Independent Institute, 2000, pp. 15-86). The Obama administration’s claim that a government takeover of healthcare will somehow magically reduce costs is not to be taken seriously. Government never, ever, reduces the cost of doing anything. All government-run healthcare monopolies, whether they are in Canada, the UK, or Cuba, experience an explosion of both cost and demand — since healthcare is “free.” Socialized healthcare is not really free, of course; the true cost is merely hidden, since it is paid for by taxes. All the major American newspapers seem to have become nothing more than cheerleaders for the Obama administration, so it is difficult to find much in the way of current stories about the debacle of nationalized healthcare in Canada. But if one goes back a few years, the information is much more plentiful. A January 16, 2000, New York Times article entitled “Full Hospitals Make Canadians Wait and Look South,” by James Brooke, provided some good examples of how Canadian price controls have created serious shortage problems. A 58-year-old grandmother awaited open-heart surgery in a Montreal hospital hallway with 66 other patients as electric doors opened and closed all night long, bringing in drafts from sub-zero weather. She was on a five-year waiting list for her heart surgery. In Toronto, 23 of the city’s 25 hospitals turned away ambulances in a single day because of a shortage of doctors. In Vancouver, ambulances have been “stacked up” for hours while heart attack victims wait in them before being properly taken care of. At least 1,000 Canadian doctors and many thousands of Canadian nurses have migrated to the United States to avoid price controls on their salaries. Canadian price-control-induced shortages also manifest themselves in scarce access to medical technology. Per capita, the United States has eight times more MRI machines, seven times more radiation therapy units for cancer treatment, six times more lithotripsy units, and three times more open-heart surgery units. There are more MRI scanners in Washington state, population five million, than in all of Canada, with a population of more than 30 million (See John Goodman and Gerald Musgrave, Patient Power). In the UK as well — thanks to nationalization, price controls, and government rationing of healthcare — thousands of people die needlessly every year because of shortages of kidney dialysis machines, pediatric intensive care units, pacemakers, and even x-ray machines. This is America’s future, if “ObamaCare” becomes a reality. CORE-Chicago Chairman Appears on Nationally Recognized: Milt Rosenberg Radio Show!